Why Would You Add A Zimmer MedizinSystems Chiller To Your Laser Practice? Pain is one of the leading reasons why more people do not undergo any type of laser treatment, and rightfully so. In a study conducted in the early 2000s, a series of patients were given laser treatments and asked to determine how painful it felt. With a scale from 0 (no pain at all) to 3 (high pain), the average pain level experienced during a standard laser treatment session was a 2.41. 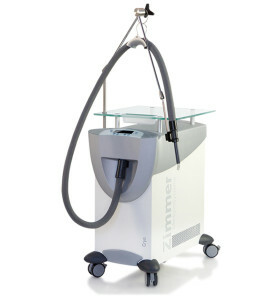 With a Zimmer Chiller, cold air is applied to the area of skin where the laser treatment will be conducted to allow the skin to cool down for a numbing effect. By delivering -30C cold air to the treatment site instead of staying at room temperature, the average level of pain felt was a 1.06—more than a 50% reduction. By reducing the skin temperature to 17C (62.6F) pain was reduced further, all the way to a reported 0.88 on the scale. The amount of air being delivered can be adjusted according to the patient and operator demand. The Zimmer Cryo 6 and Zimmer Cryo Mini have a therapy fan consisting of 9 levels. The Zimmer Cryo 5 has a 6-speed therapy fan. The Cryo 6 can deliver -30c air from the chiller to the treatment site and the Cryo Mini can deliver around -10c air. Reducing pain is very important for your clients and even prospects that are uncertain about the laser treatment due to sensitive skin, but Zimmer Chillers do more than lessen the pain felt during treatment. The cold air from a Zimmer Cryo Mini or Zimmer Cryo 6 can lessen the effects of thermal damage on the skin. In the same study, cooling the temperature of the skin to 17C (62.6F) from room temperature resulted in over a 66% reduction in purpura (the bruising of the skin caused by laser treatment). 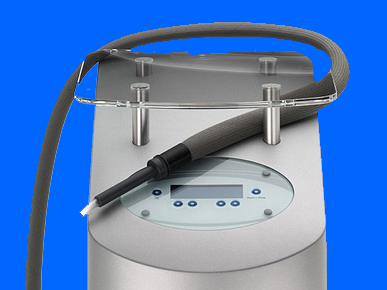 The benefits of a laser cooling device are not only for the patients undergoing treatment, either. The Zimmer Chiller line of products also offer a wide range of benefits for operators as well to make the entire laser treatment process quicker and easier. The first thing you will notice when using one of these machines is that your patients will feel more comfortable allowing you to work confidently and efficiently knowing you do not have to worry about anyone pulling away due to pain. With the Zimmer Chiller unit there is also an optional articulating arm that gives you hands free control over the unit. Instead of having to move back and forth between the laser and the cooling device, the adjustable arm allows you to lock your Cryo Mini or Cryo 6 into place, freeing up your hands. Glass platforms are also added to the top of each device that can be used as a table for your tools during the treatment process. This keeps you organized so you can perform treatments as efficiently as possible. Zimmer Cryo Mini – This chiller can produce air as cool as -10C. While it seems extremely cold (and it is),the mini is designed for shorter procedures. The Zimmer Cryo Mini has 9 different fan speeds that can be used to increase or decrease the flow of cold air from the machine, giving you complete customization for each patient. 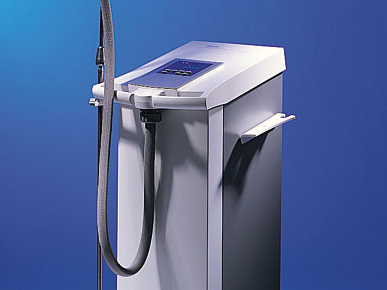 Zimmer Cryo 6 – This unit is the new replacement to the Zimmer Cryo 5. The Zimmer Cryo 6 features 9 fan speeds, a LCD Display, Glass Tabletop, and a light-weight flexible hose allowing for maximum airflow. The main difference between the Cryo Mini and the Cryo 6 is cooling duration. Aforementioned, the Cryo Mini is ideal for treatments that are short in duration, roughly 30 minutes, while the Cryo 6 has all-day cooling capability. Air temperatures of the Six are chilled down to -30C, and this chilled air can be used to cool the epidermis continuously throughout a laser treatment or injection. With a Zimmer Chiller you will be able to increase your procedural efficiency, reduce the pain that your patients feel, and lower the risk of any dermatological damage. With competitive pricing and flexible payment options you can have your Zimmer Chiller within a day of your purchase. If you are ready to expand your practice, purchasing a laser cooler is one of the best investments you can make. To protect your investment we offer a 1 year warranty on the Zimmer Cryo Mini and a 2 year warranty on the Zimmer Cryo 6. For pricing and other information, visit our contact page or call us toll free at (800) 530-8041. My patients are now able to withstand their laser tattoo removal session. The Zimmer Cryo 6 has been one of the best purchases for my laser center. The Zimmer Chillers are a must for any serious laser center! I recently purchased a laser for facial resurfacing, and found out quickly the amount of discomfort my patients were in. If it wasn't for purchasing a Zimmer Cyro 6, my laser patients would probably have discontinued their sessions and revenue would have been lost. The Zimmer Chillers are outstanding product laser coolers. I recently traded in my Cryo 5 of 9 years for a Cryo 6 unit. The Zimmer Chillers have kept my patients in my practice and have allowed me to stay ahead of the competition. 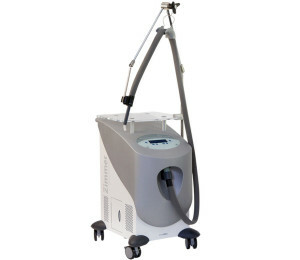 I would not offer a laser treatment without the use of a Zimmer Cryo. Manufactured by Zimmer MedizinSystems, the Cryo 6 Zimmer offers a new cosmetic design and more operative features than its previous version, the Cryo 5. The Zimmer Cryo 6 features 9 adjustable fan speeds, a glass top, an optional articulating arm, 6 feet treatment hose, LCD display, and no need for consumables. The Zimmer Chillers are easy to operate and maintain with user friendly displays and icons. This units took efficiency to an entirely new level, serving as an effective alternative to other epidermal cooling methods, like contact cooling, cryogen spray and ice packs. Traditional ice packs, contact cooling, and cryogen can only do so much before or after the treatment. But with the Cryo 6 Zimmer, you get cooling at -30C with 9 fan speeds that can cool the epidermis before, during, and after the treatment. The Cryo Mini is a refrigerated air therapy device which pulls in room temperature air and cools it to a therapeutically effective temperature range around -10c. 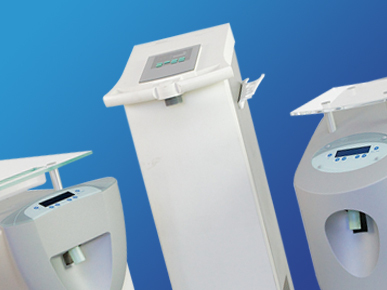 The Cryo Mini is mounted on rollers for ease of use in various locations. This unit has a metal housing and a plastic top attached to an aluminum frame, and the power supply connection, main switch and air filter on the back. The condensate container is on left side of the Cryo Mini unit.The Mini features 9 adjustable fan speeds, a glass top, an optional articulating arm, 6 feet treatment hose, LCD display, and no need for consumables. The Zimmer Chillers are intended to minimize pain and thermal injury during laser and dermatological treatments. 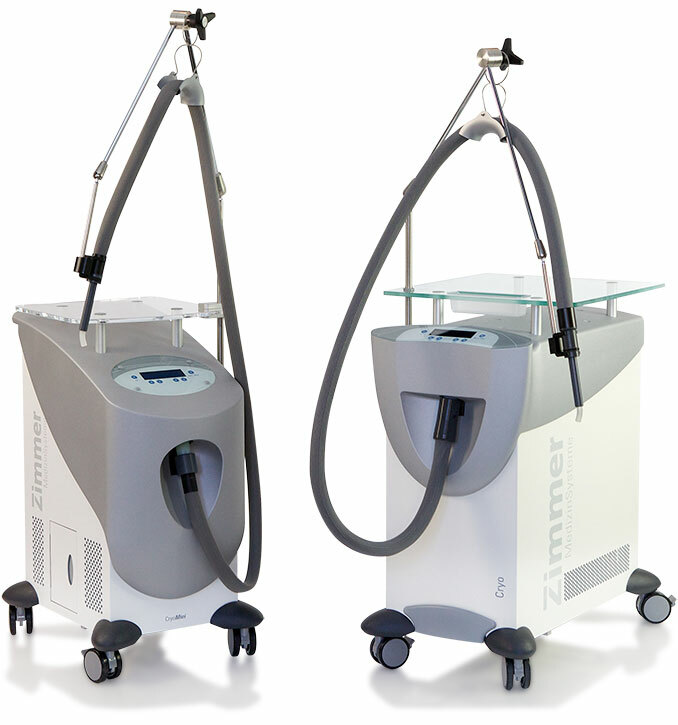 The Zimmer Cryo 6 and ZimmerCryo Mini can also provide temporary anesthetic relief for injections. 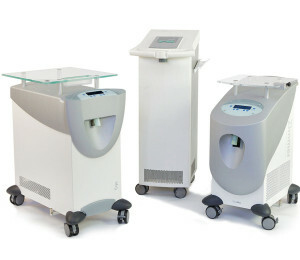 The Cryo 5 was the original Zimmer Cryo introduced by Zimmer MedizinSystems, eventually replaced in 2008, and since then has completely redefined cosmetic laser cooling. By introducing state of the art technology, the Cryo Five took therapy efficiency to an entirely new level, serving as an effective alternative to other epidermal cooling methods, like contact cooling, cryogen spray and ice packs. The Zimmer Cryo 5 features 6 adjustable fan speeds, a 6 feet treatment hose and an optional articulating arm which provides hands free operations. Weighing around 121 lbs, while being 18 inches in length, 13 inches in width, and 38 inches of height, the Cryo Five is a laser chiller for professionals searching for an effective alternative to costly cooling methods. Engineered to perfection and designed with innovation, the Zimmer Chillers are award winning laser coolers. 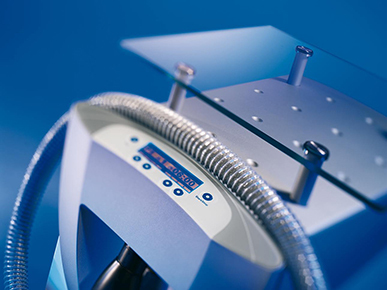 The Zimmer Cryo 5 was the original Cryo introduced by Zimmer MedizinSystems 14 years ago, and set the benchmark and standards for engineering, performance, and scalability in modern laser coolers. Since then the Zimmer Cryo 6 and Zimmer Cryo Mini have completely redefined cosmetic laser cooling with extraordinary performance and reliability. The popularity of the Cryo 5 led to a generation of Chillers, with each one providing extraordinary performance and reliability over the other. With the Cryo 6 and Cryo Mini offering 9 fan speeds, glass platform, LCD Display, hands free operation, it is no wonder the Cryo owners are turning into Laser Cooler Enthusiasts. PATIENT COMFORT. ONLY A PUSH OF A BUTTON AWAY. Don’t lose your patients to the competition, purchase your Zimmer Chiller today! Between a wide range of financing options and wholesale pricing, there is a multitude of ways to add a Zimmer Chiller to your practice without breaking the bank. Choose between a Cryo Mini and Cryo 6, or trade-in/ upgrade your current Cryo Five unit. Don’t your patients deserve to be comfortable during their cosmetic laser treatments! Prices exclude all options, taxes, shipping and warranty. Price Discounts and Promotions Subject to Change and/or Discontinue Without Notice. Only One Discount at a time will be valid. © 2019 CRYOTEC. All Rights Reserved, LaserMed LLC.